Ozhotels provides business and leisure travellers with a directory of independently owned and non-related hotels and serviced apartments providing accommodation in the Sydney CBD. Oz hotels allows you to deal directly with the hotels and apartments in the Sydney city centre, hence giving you the best possible rates for this Sydney CBD accommodation. Book your accommodation online directly with the hotels in the Sydney city centre and receive discount rates for longer stays !!! The Sydney CBD is a great accommodation location beacuse all of the major tourist attractions and businesses are within easy reach. Sydney city is beautifully laid out around Darling and Sydney harbour and the extensive public transport network, which includes trains, buses, ferries and the monorail, make getting from one place to another a breeze. The Sydney city centre obviously comprises the vast majority of corporate business offices, but it also now includes a huge selection of retail shopping in the Strand Arcade, Martin Place and Westfield Centrepoint shopping precincts. At weekends the cobbled streets of the historic Rocks precinct are filled with the aroma of artisan breads as The Rocks Market recaptures the spirit of traditional public markets. 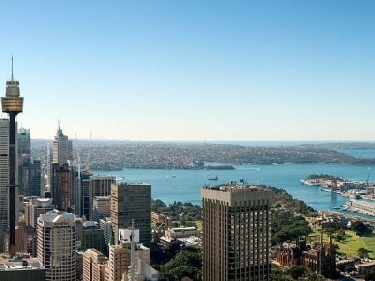 The Sydney CBD is surrounded by lovely parklands such as the Botanic Gardens and Hyde Park. There is also the Sydney Harbour Bridge and Opera House on the northern edge of the CBD and Darling Harbour on the western edge of the city centre. There is lots to see and do around the Sydney CBD and there is no better way to see it than on the ferry that goes regularly from Darling Harbour to Circular Quay as it will take you under the Harbour Bridge and next to the Sydney Opera House. 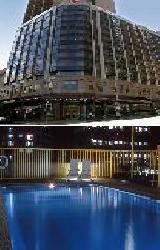 The Metro Hotel Sydney Central provides great value for money hotel accommodation right in the heart of the Sydney CBD. The Metro Hotel Sydney Central is ideal for both holiday makers and business travellers with discount hotel rooms and suites only minutes from the Central Railway Station and within walking distance of Darling Harbour, Opera House, Harbour Bridge and Sydney Exhibition Centre. 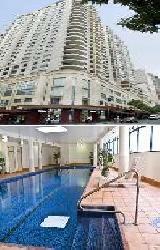 This Sydney CBD accommodation features modern amenities and is close to everything that the city has to offer. Conveniently located in Sydney's CBD at the corner of Pitt and Campbell Streets and opposite the Capitol Theatre, the Metro Hotel Sydney Central offers well appointed guest rooms and suites on 10 accommodation floors. The Napoleon Apartments on Kent sydney provides studio and 1 bedroom apartment accommodation that is ideally located in the heart of the Sydney CBD close to Darling Harbour and the Sydney Opera House. The Napoleon on Kent has a number of guest facilities and services including Business Centre, Guest Laundry, Lift, Tour Desk and Cot Hire which will help to make you feel right at home. Situated in the heart of Sydney's central business district, Napoleon on Kent is a modern, self contained apartment complex ideally located at the Harbour Bridge end of Kent Street just a short stroll from the historic Rocks area and just minutes from Darling Harbour, Circular Quay and Sydney Opera House. The Parkview Hotel Sydney offers discount hotel/motel accommodation that is suited to the budget conscious traveller or family. 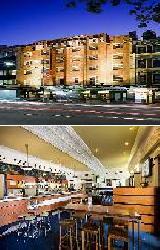 This Sydney hotel is located close to Sydney CBD and provides easy access to Sydney public transport and other tourist attractions including Opera House, the Rocks, Paddington Markets, Circular Quay, Darling Harbour, Chinatown, Sydney Fish Markets and a range of Glebe restaurants, pubs and cafes. 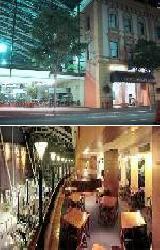 The Parkview Hotel Sydney is a budget hotel near Central station and located opposite Victoria Park and Broadway. The studio, 1 and 2 bedroom apartment accommodation at the Oaks Hyde Park Plaza is ideally located in the heart of the Sydney CBD close to Darling Harbour. The Oaks Hyde Park Plaza provides both holiday makers and business travellers with discount fully self contained apartments. This Sydney CBD accommodation features modern amenities, friendly personalized service and is close to everything that the city has to offer, making it the perfect place to stay in Sydney for business and pleasure. 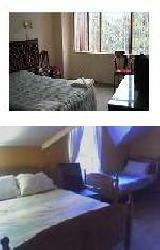 The Aarons Hotel Sydney offers budget hotel accomodation in the heart of the Sydney CBD. With such a central location the Aarons Hotel Sydney is conveniently positioned so that guests can take advantage of some of the nearby attractions. Guests at Aarons Hotel can experience the famous Paddy's Markets, Sydney Harbour Bridge, heritage listed buildings, taking a leisurely harbour cruise, Taronga Zoo, Opera House and the Darling Harbour district which is full to bursting with many other tourist attractions. Star City Casino, the heart of Sydney's entertainment district, includes Sydney's showpiece casino, a multitude of restaurants, bars, nightclubs and is only a short distance away. 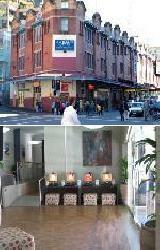 For budget accommodation located in the heart of Sydney CBD look no further than the Central Private Hotel. It has easy access to all of Sydney's attraction, affordable budget rates and there is even public transport close to hand. The Central Private Hotel City has a number of guest facilities and services including Direct Internet Access, Faxing Facilities, Tour Desk and Security which will make you feel right at home the next time that you stay in the heart of the city centre. The Sydney Central Hotel on Wentworth is a cheap budget hotel that offers affordable leisure & business accommodation at very competitive discount rates. The Sydney Central on Wentworth provides both holiday makers and corporate travellers with a choice of single, double, deluxe and premium hotel rooms complete with many in-room facilities. This Sydney CBD accommodation is close to everything that the city has to offer and specializes in unique, budget style hotel accommodation for people that are looking to save money. The Pensione Hotel Sydney provides business executives and budget leisure travellers with discount hotel accommodation in the heart of the Sydney CBD. The Pensione Hotel Sydney has a number of guest facilities and services including Bar, Direct Internet Access, Faxing Facilities, Guest Laundry, Lift, Secretarial Services, Tour Desk, 24 Hour Reception, Cot Hire and Daily Housekeeping which will make you feel right at home the next time that you stay in the city centre. 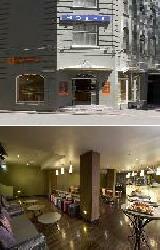 The Pensione Hotel is perfectly situated in the middle of Sydney's vibrant entertainment and theatre district. 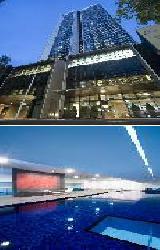 Rydges World Square Sydney is a 5 star luxury Sydney CBD hotel that is positioned close to Darling Harbour, World Square & Oxford Street. With such a central location the Rydges World Square Sydney is conveniently positioned so that guests can take advantage of some of the nearby local attractions. World Square shopping centre and Restaurants are located downstairs and just a short walk away is Darling Harbour for shopping and family entertainment, Cockle Bay Wharf for the restaurants and bars, Chinatown and Paddy's Markets, Queen Victoria Building, Pitt Street Mall, Oxford Street, restaurant and bars in the Spanish and Irish quarters, Sydney Entertainment Centre, The Capitol Theatre and cinema strip. 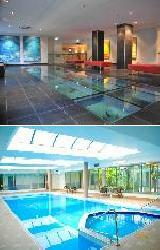 Also the Town Hall and Museum train stations are only a few minutes walk away. 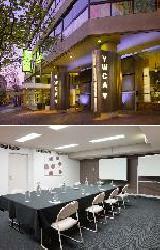 If you are looking for budget Sydney accommodation in the heart of the CBD with easy access to all Sydney city attractions and public transport then the Y Hotel Hyde Park is definitely the place for you. Darling Harbour, Chinatown and Oxford Street are all within easy walking distance from the Y Hotel Hyde Park Sydney and it also prides itself on providing qaulity hotel accommodation that which won't break the bank and leaves you more money to spend on other activities or shopping in Sydney. The APX World Square Apartments in Haymarket, Sydney provideis luxury studios, 1 & 2 bedroom self contained apartments that are ideal for business & leisure travellers & corporate relocations. The APX World Square provides all types of travellers with discount fully self contained apartments that feature modern amenities and are also close to everything that the city has to offer. 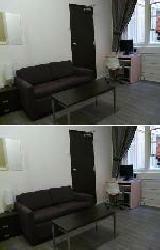 APX World Square offers spacious apartment accommodation which will leave you wanting to come back again and again. 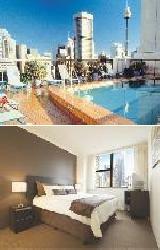 The Citigate Sebel Sydney offers contemporary hotel accommodation in the Sydney CBD. Superbly located close to the Central Railway Station, city centre and the fashionable shops and restaurants of Surry Hills. The Rydges Sydney Central has a number of guest facilities and services including Bar, Business Centre, Conference Centre, Direct Internet Access, Disabled Facilities, Faxing Facilities, Guest Laundry, Gym, Lift, Restaurant, Room Service, Sauna, Steam Room, Spa, Tour Desk, Massage Room, Indoor Pool, Security, 24 Hour Reception, Babysitting Service and Daily Housekeeping. Recently refurbished, Rydges Sydney Central offers Sydney CBD accommodation and a comfortable home away from home for all who visit. 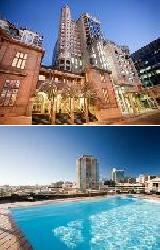 The Aspire Hotel in Ultimo, Sydney provides boutique hotel accomodation at discount rates, close to Darling Harbour, Chinatown and the Entertainment Centre. 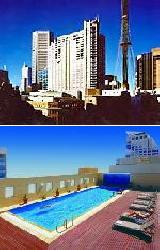 With such a central location the Metro Aspire Hotel Sydney is conveniently positioned so that guests can take advantage of some of the nearby attractions including Darling Harbour's attractions, Sydney Entertainment Centre, The Powerhouse Museum, Chinatown, Australian National Maritime Museum, BridgeClimb Sydney, Ian Thorpe Aquatic Centre, IMAX Theatre, Star City Casino, Sydney Aquarium, Sydney Markets and The Rocks waterfront precinct. 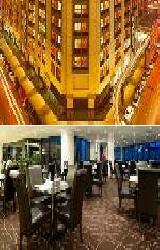 The York by Swiss Belhotel is one of the best located Sydney CBD hotels. This luxury studios, 1 & 2 bedroom apartment suite accommodation is situated in the heart of the Sydney CBD and is perfect for both leisure guests & corporate business travellers. The The York by Swiss Belhotel provides discount fully self contained apartments that feature modern amenities and are close to everything that the city has to offer. 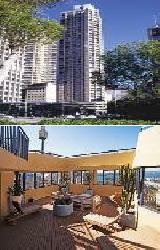 The York by Swiss Belhotel is arguably "Sydney's best located Suites and Residences". The Quay West Suites Sydney is located in Sydney city centre with easy access to all Sydney city attracations and public transport. The Quay West Suites Sydney has a number of guest facilities and services including Lounge Bar, Business Centre, Guest Laundry, Gym & Fitness Equipment, Restaurant, Room Service, Steam Room, Secretarial Services, Spa, Tour Desk, Indoor Pool and 24 Hour Reception which will make you feel right at home. Quay West Suites Sydney is superbly situated in the historic Rocks area, overlooking the harbour, Opera House, Harbour Bridge and Sydney's dramatic cityscape. The Capitol Square Hotel is centrally located in Sydney CBD close to Central Railway station & Sydney's entertainment, cultural, business, shopping and tourist areas. With such a central location the Capitol Square Hotel Sydney is conveniently positioned so that guests can take advantage of some of the nearby local attractions including the Capitol Theatre, Chinatown, Paddy's Market, Sydney Entertainment Centre, Central Railway Station, Darling Harbour, Pitt St Mall and shopping in the central city area. The Park Regis Hotel provides accommodation in the heart of the Sydney CBD, close to Hyde Park, Darling Harbour, Pitt Street, QVB and the Sydney Town Hall. The Park Regis Hotel boasts a large variety of beautifully appointed hotel rooms specifically designed to suit every travellers needs. Park Regis City Centre is designed to cater for both corporate and leisure travellers and is located in the heart of Sydney city, just a short walk to Hyde Park, Darling Harbour, Pitt Street Mall, Queen Victoria Building and Town Hall. 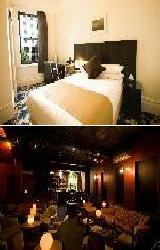 The Great Southern Hotel in the Sydney CBD provides heritage listed budget hotel accommodation in the centre of the city. The Great Southern Hotel Sydney has a number of guest facilities and services including Bar, Business Centre, Conference Centre, Currency Exchange Services, Direct Internet Access, Guest Laundry, Gym & Fitness Equipment, Lift, Restaurant, Room Service, Tour Desk, Security, 24 Hour Reception and Daily Housekeeping. The Great Southern Hotel, Sydney is an affordable, hotel located in the heart of Sydney's vibrant theatre and entertainment precinct, only minutes from Central Station. Providing affordable hotel accommodation in the heart of Sydney, Macquarie Boutique Hotel has its own saloon bar, bistro, TAB, gaming room and internet cafe. With easy access to public transport to visit Sydney's major tourist attractions the Econo Lodge Sydney South is a friendly and pleasant place to stay. Formally known as the Macquarie Boutique Hotel, the heritage listed Econo Lodge Sydney South is located in the heart of one of the world's most exciting cities and offers a unique, value for money, pub-stay experience. The luxury hotel accommodation at the Novotel Sydney Central is ideally located in the heart of the Sydney CBD, suiting corporate, business and leisure clients. The Novotel Sydney Central has been recently refurbished and provides both holiday makers and business travellers with discount hotel rooms and suites. This Sydney CBD accommodation features spacious rooms, stylish fittings and is close to everything that the city has to offer. Located in the heart of vibrant Sydney, this popular Sydney CBD hotel is just a short walk from Darling Harbour, Cockle Bay, Central Railway Station and major shopping and entertainment precincts. The Fraser Suites Sydney is a 5 star luxury studio, one and two bedroom hotel suite accomodation in the heart of the Sydney CBD close to Darling Harbour, Cockle Bay and Chinatown. The Fraser Suites Sydney has numerous guest facilities and services including Business Centre, Conference Centre, Direct Internet Access, Faxing Facilities, Fitness Equipment, Lift, Restaurant, Room Service, Sauna, Steam Room, Spa, Indoor Swimming Pool, 24 Hour Reception, Babysitting Service and Daily Housekeeping. The Fraser Suites Sydney is the first all suite luxury hotel, designed by internationally renowned architects Foster + Partners. The Hotel Stellar is situated in one of Sydney's premiere locations, adjacent to Sydney's Hyde Park and the Oxford Street gateway, in the city centre. With such a central location the Hotel Stellar is conveniently positioned so that guests can take advantage of some of the nearby local attractions and is within walking distance to everything Sydney has to offer. Hotel Stellar is a recent addition to the boutique hotels of the world, following a multi-million dollar transformation. Luxury 5 star Sydney accommodation at Quay Grand Suites Sydney offering all-suite hotel accommodation on Circular Quay close to the Opera House and Sydney Harbour Bridge. With stunning suites, designed to take maximum advantage of Sydney's spectacular views, Quay Grand Suites Sydney is situated on the eastern shore of Circular Quay and offers guests an exceptional Sydney hotel experience. This all-suite Sydney CBD accommodation is seemlessly combined with superb five-star hotel service to make your next stay in the city a truly remarkable one. 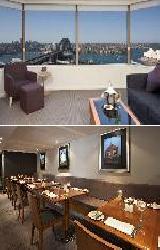 The Swissotel Sydney is a 5 star luxury hotel suite that provides leisure & corporate accommodation at discount rates. The Swissotel Sydney provides various travellers with hotel rooms and suites within walking distance of the Sydney Harbour Bridge, the historic Rocks precinct, Sydney Opera House and the beautiful Botanic Gardens. This Sydney CBD accommodation is a deluxe five star hotel located in the heart of the city and features modern amenities and beautifully appointed furnishings. 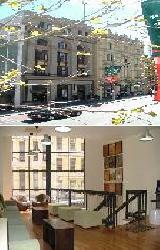 The Base Backpacker Hostel is easily the most central, city backpacker accommodation location ever. With such a central location the Base Backpackers Sydney Hostel is conveniently positioned so that guests can take advantage of some of the nearby local attractions which the helpful and friendly staff will be more than happy to point out upon your arrival at the property. Guests who spend some time staying at the Base Backpacker Hostel soon understand why Base Sydney is the place where the coolest and funkiest people in Sydney hang out. 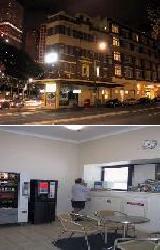 The Rendezvous Studio Hotel Sydney Central is located in a convenient Sydney location, directly opposite Central Railway Station, on the corner of George and Quay Street. 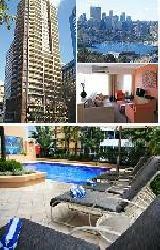 This places it just minutes walk to Darling Harbour, Chinatown and the Sydney Convention Exhibition Centre. 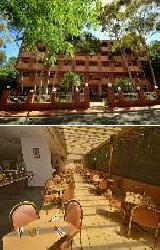 The Rendezvous Studio Hotel Sydney Central provides both holiday makers and business travellers with discount hotel rooms and suites. 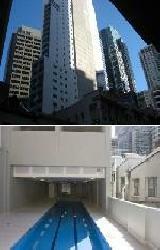 This Sydney CBD accommodation features modern amenities and is close to everything that the city has to offer. When looking for comfortable accommodation in Sydney, there's nowhere better to stay than the Rendezvous Studio Hotel Sydney Central. 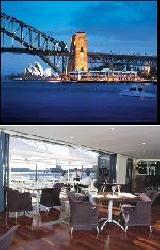 The Sebel Pier One Sydney nestled alongside the Sydney Harbour Bridge and offering panoramic Sydney Harbour views. 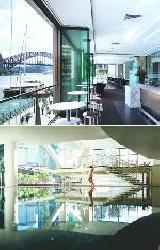 The Sebel Pier One Sydney provides both holiday makers and business travellers with luxury hotel rooms and suites. 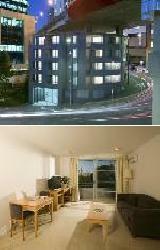 This Sydney CBD accommodation features modern amenities and is close to everything that the city has to offer. The Sebel Pier One Sydney offers magnificent views of the Sydney Harbour Bridge and Walsh Bay combined with style and sophistication to create a superb, relaxed environment. The Westend Backpackers in the Sydney CBD provides budget hostel accommodation with some great value for money rates available. The Westend Backpackers has a number of guest facilities and services including Direct Internet Access, Guest Laundry, Lift, Tour Desk, Airport Shuttle and 24 Hour Reception which will make you feel right at home. There is even Free Pasta and Free Rice every night. 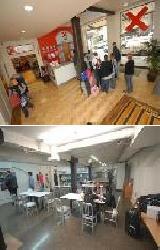 The Westend Backpackers offers youth travellers, backpackers, students and groups, funky, cheap, budget style accommodation right in the heart of the CBD. The Maze Backpacker Hostel in the Sydney CBD offers all types of travellers cheap hostel accommodation that is guaranteed not to break your budget. Experience the unique side of Sydney and lose yourself at the Nomads Maze Backpacker Hostel. 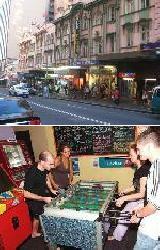 It is Sydney's funkiest Backpacker Hostel and also the cheapest, coolest place to crash in Sydney. Maze Backpackers Hostel is Sydney's most exciting, most centrally located backpacker hostel, available right in the heart of Sydney. 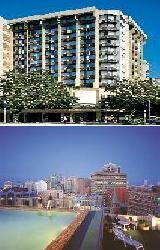 The Oaks on Castlereagh Apartments are located amidst the entertainment and business district of Sydney City Centre. It provides a range of studios, 1 & 2 bedroom self contained executive apartments that are perfect for both corporate & leisure accommodation. The Oaks on Castlereagh has a number of guest facilities and services including Gym & Fitness Equipment, Lift, Sauna, Steam Room, Spa, Tour Desk, BBQ and Indoor Pool which will make you feel right at home the next time that you stay in Sydney.